Please could anyone advise if this is an enforceable CCA - received from Lowells for a Vanquis credit card. They've added a sticker with a company reps signature over the date with my signature, which is oddly located - I always sign squarely in the centre of any box. Plus are the elements all correct as I have looked but just not sure. and wheres the rest of it? I've been trying to upload this as one pdf for nearly an hour now and I'm totally at a loss - I have done this before many times for my studies and in work situations, I am pretty computer literate. I have scaneed as jpg so that I could easily remove details using paint, then I have used an online pdf creator to convert/merge into one pdf file and I have also used word, adding the two files and 'print to pdf', I've checked the sizes and even compressed down to 474kb but none of these pdf files are being accepted by the uploader. 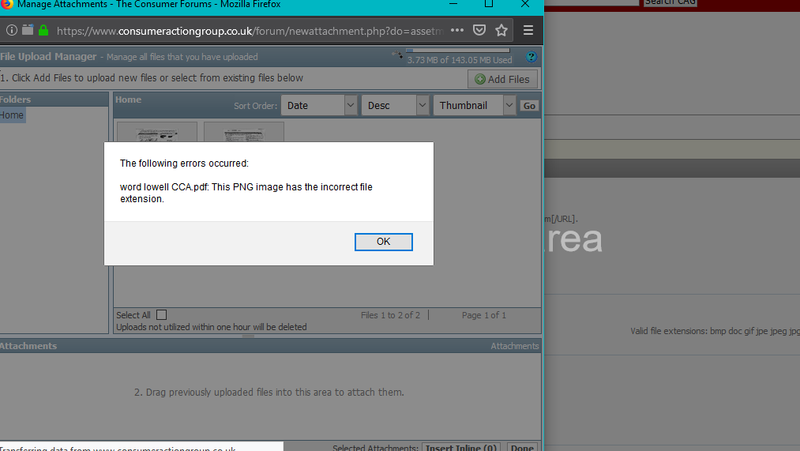 I keep getting this response "this png image has the incorrect file extension" - but it is most definitely is not a png image! Right, I've used an online jpg merger - I hope this is acceptable as it's just not taking my pdf's. These two sides of A4 were all Lowell have sent me as proof of my CCA with Vanquis. I do not know what you mean by the 'rest of it' - is there terms/conditions missing then, please? 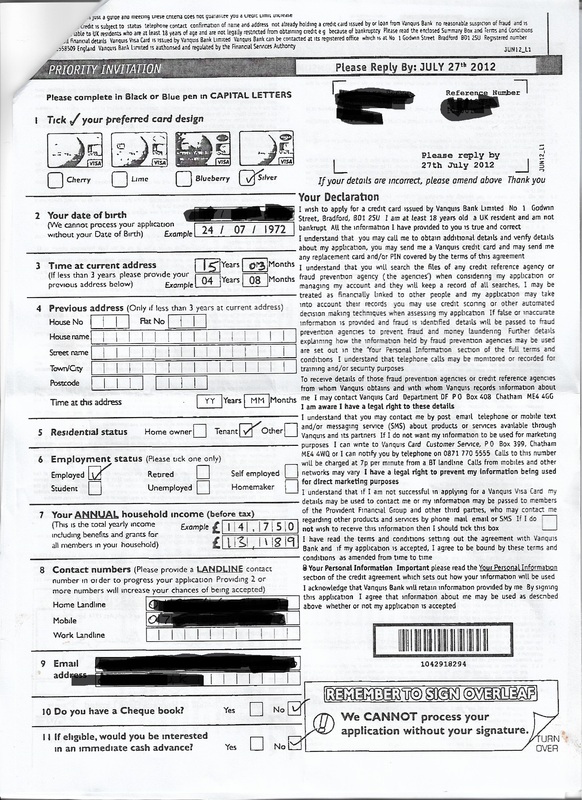 Along with this they send a few sheets of copy statements, without a running total, just a list of purchases and charges with amounts and dates. 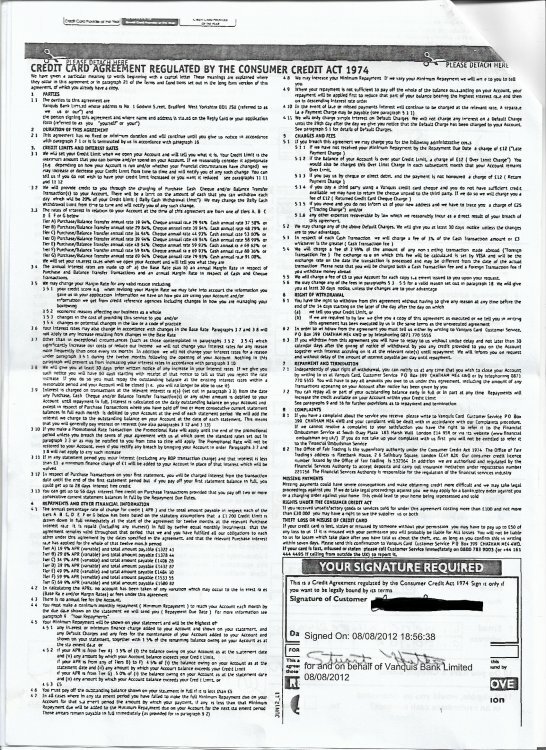 Also the covering letter states "We trust that this now answers your query and look forward to hearing from you to discuss affordable repayment options", I just don't know what to do as I am struggling with normal bills right now, I'm on a low income and cannot work anymore than I am as I don't yet qualify for free childcare hours for my baby. ah i'll guess you are using a mac?